Galilean wins the California Cup Derby in February at Santa Anita. 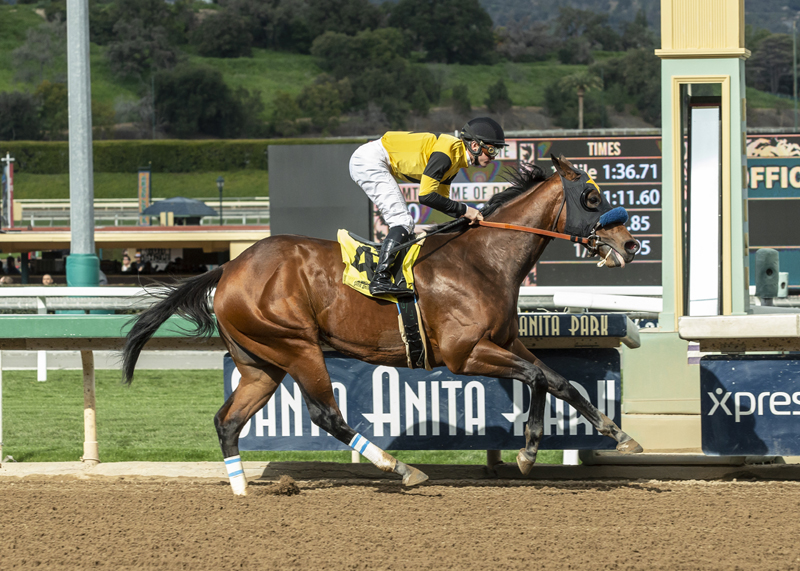 Galilean made a second trip from Southern California to Oaklawn Park this week looking for a pathway to the Kentucky Derby, with Saturday’s Grade 1 Arkansas Derby as a pivotal test. 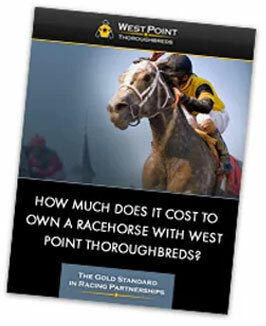 The three-time stakes winner earned 7 Kentucky Derby qualifying points with a third-place finish last month at Oaklawn in a division of the Grade 2 Rebel Stakes. He will likely need to finish first or second in the $1-million Arkansas Derby to crack the expected full field of 20 for the Run for the Roses on May 4 at Churchill Downs. Galilean drew post 7 of 11 for the Arkansas Derby with Flavien Prat to pilot the California-bred colt in a field that includes Rebel winners Omaha Beach and Long Range Toddy as well as Grade 1 winner Improbable. 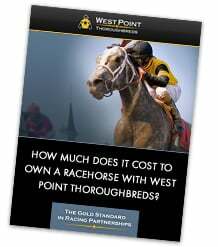 A year ago, West Point Thoroughbreds thought enough of Galilean to land him as the highest-priced horse in a California sale of two-year-olds in training, and he has turned out to be a pure talent like our buying team projected. The Irish-based breeding powerhouse Coolmore recently purchased an interest in the bay colt. Galilean’s sire, Uncle Mo, stands at Coolmore’s Ashford Stud in Kentucky. Galilean is trained by Jerry Hollendorfer, a Hall of Famer with a long history of building horses up to peak in early May at Churchill Downs. Hollendorfer has won the Kentucky Oaks three times. He is still looking for his first Kentucky Derby victory but he has raised more than a few eyebrows with horses who have outrun their odds: Battle of Midway was third in the 2017 Derby at 40-1 and Instilled Regard finished fourth in last year’s edition at 85-1. Galilean figures to be a much shorter price if he makes a nice step forward in the Arkansas Derby—a race that in recent years has produced Triple Crown hero American Pharoah and fellow Kentucky Derby winners Super Saver and Smarty Jones. 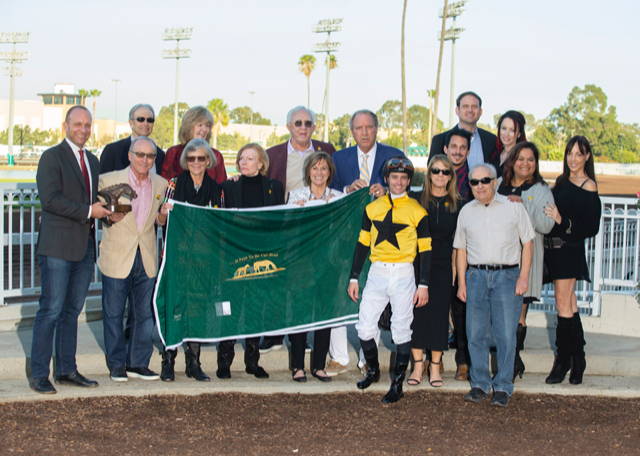 Galilean’s Partners celebrate the second of his three stakes wins.